It was early evening after a tropically hot and moist day in Amsterdam. My family and I had just finished dinner. I grabbed a coffee, and opened my laptop to cut down on the post-holiday email avalanche. I found myself reading Mark Eckhardt’s blog post, “Testimony”. And the sentiment resonated with me, touching a chord deep down. As I read, my conviction grew stronger: this was a good guy. Open, honest, modest, with the right intentions. And he seemed downright smart and hands-on. Mark ended his blog with “now is our time”. As I read those words, I found myself thinking back to 54 months ago, to early 2011 when COMMON was launched. So I visited the Fearless Cottage in October of that year and met some of the fearless founders of COMMON. As it turned out, witnessing the beginnings of COMMON was the catalyst for my own personal journey. At the time, I’d been working with the same company for 15 years; my own agency. I was successful, creatively and monetarily, but more and more I realized that my success was being measured by the standards and definitions of others, not my own. In each presentation we did I found myself thinking: “the better this campaign will work, the sooner the world will fall apart”. The itch that thought gave me grew into an overwhelming, aching migraine over the years, which I couldn’t neglect. I wanted to contribute to the greater good and was inspired by the ideas I’d witnessed at the Fearless Cottage. I left my company and ventured off on my own again. I started out with a veni, vidi, vici mentality, and in the four years that followed, I worked with dozens of clients from various industries. Spurred by arrogance and bolstered by my newfound sense of purpose, I overcommitted and under-committed at the same time. Because of that, I failed miserably at times, and saw one of the startups I was involved with fail as well. Nevertheless, I was amazed and deeply impressed by the integrity, wisdom and commitment of the hundreds of fantastic people I met during those four years: some of whom had been working relentlessly on the same mission for 25 years already. Some were successful, but most struggled. Yet their commitment remained palpable, and they were determined to continue forward until they achieved their goals. It was amidst these humbling experiences that I noticed something strange happening: the clients that I thought I was going to help were really helping me. As a result, I started to change. Arrogance was replaced by a quieter, more thoughtful approach. I started to slow down and dig deeper, in order to accelerate. In short, I lost my naive cockiness. Change comes from great people with great ideas and visions who will not quit until their dreams become reality. The fearless revolutionaries. People like those at COMMON. Although I still aspire to be like Bernard Shaw’s unreasonable man, I’ve realized that the unreasonable men and women of the world need to work together to generate true, lasting change. That realization, coupled with my experience over the last four years, has compelled me to re-engage with COMMON. I still think COMMON represents one of the best ideas I’ve ever come across. But COMMON went fast- like me. Maybe now it’s time for the COMMON community to go far-together. I want to see COMMON prosper, and I want to witness the effect that it can potentially have in the lives of millions around the globe. So now I’m here. Back at the beginning-but not. I’m here as a wiser person, a stronger person, a quieter person. I’m here to use my marketing and branding skills to advance the goals of companies around the world that want to make a difference, and I’m here to serve as a contact point for COMMON in Northern Europe, for all of those who (like me) want to be part of the world’s solutions, not its problems. If you are ready too, please reach out. Let’s see how together, we can be fearless. COMMON is excited to announce that Mark Aink, Founder of Native Circles, will be our Lead Insurgent in Northern Europe. 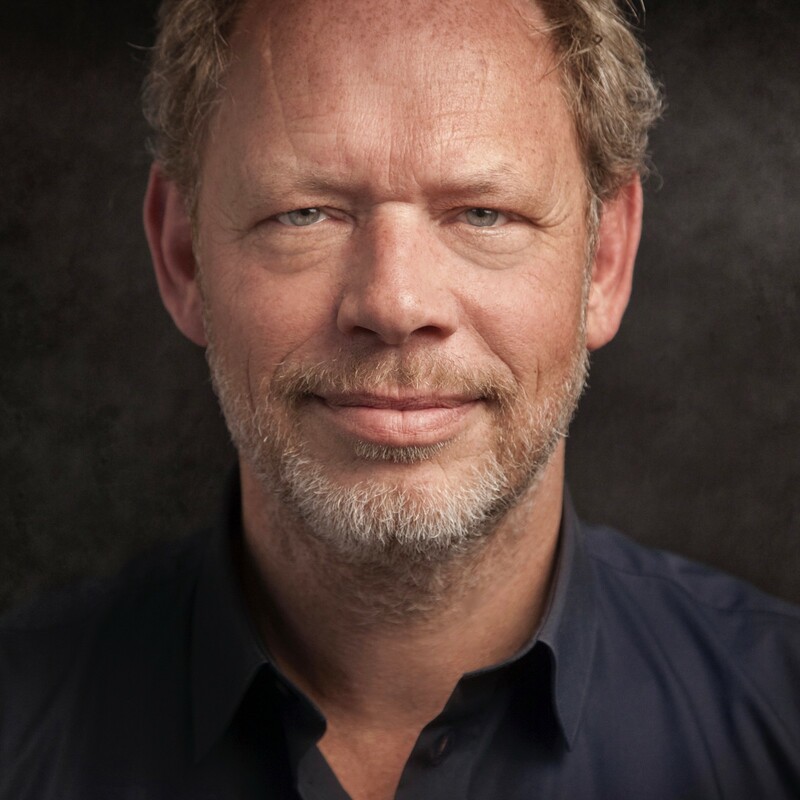 Based in Amsterdam, Mark is a highly sought-after marketer and advertiser, who worked with Richard Branson, Apple and Nike, and dozens of other global iconic brands, before dedicating his talent to conscious brands such as Interface, Ecover, and Ben & Jerry’s. He is a passionate Climate Leader for the Al Gore’s Climate Reality Project, among other cool things, who’s twitter bio reads: father, son, brother, husband, lover, singer, dreamer, doer, but most of all Mark. “Having someone in Europe has been an important goal for us. Mark not only understands the COMMON brand, but has the skill and experience to serve our European community members in a way that is consistent with our values, and reflective of the time. I am excited for people to get to know him,” said Mark Eckhardt, COMMON CEO. NATIVE Circles is one of the first companies to officially join our community and carry the COMMON Mark (CM).